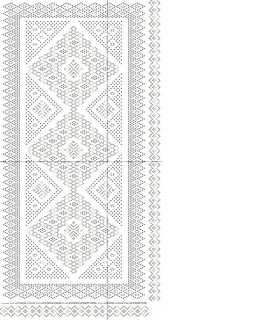 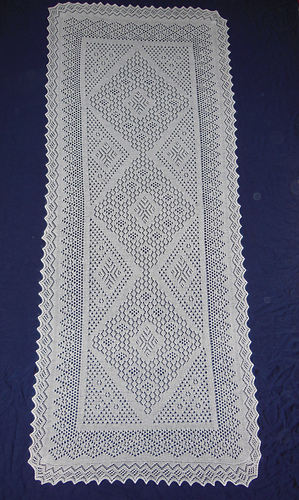 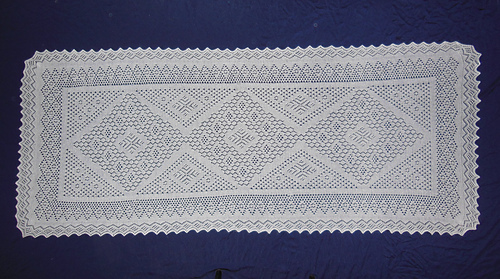 Traditional Orenburg lace patterns are used in the charts, but I created them in a classical way to shows decreases. 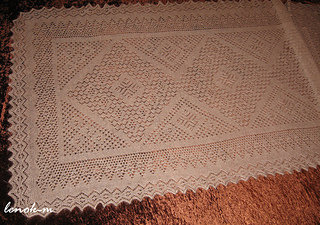 In traditional Orenburg charts only yarn-over’s would be shown. 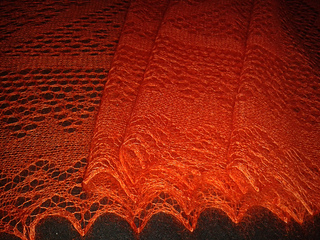 Stole – 169 sts wide (optional length with 43, 44 or 45 edge repeats); Chart D.
• Chart D – 1610m-1700 / 1761-1859yds. 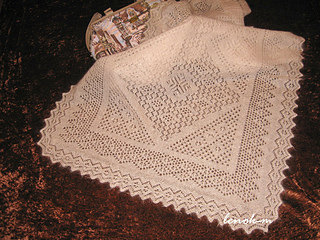 Loria used up 115gr = about 1610m / 1761 yds of Mondial «merino fine», (100% wool, 1400 m/ 1531 yds in 100gr) for the stole (chart D_21x43.pdf). 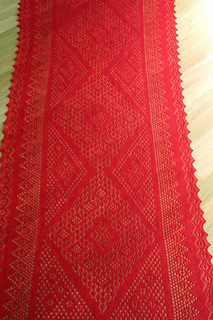 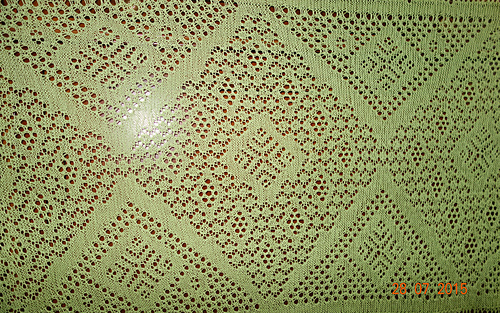 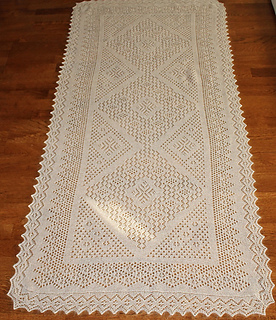 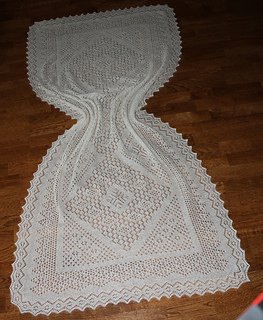 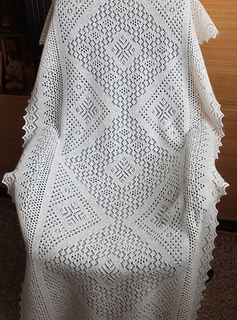 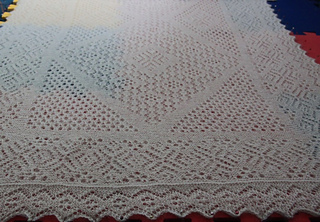 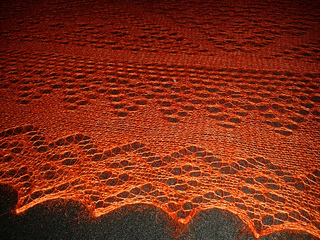 Average size after blocking is 75 x 180 cm / 30” x 71”. 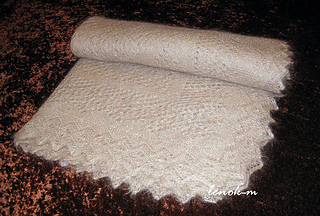 Needle US 0 - 2.00 mm. 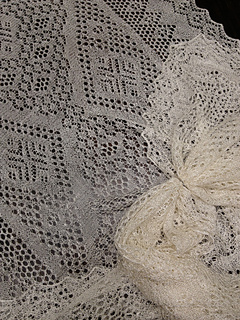 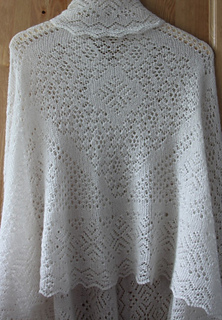 You may choose similar yardage natural yarns as alpaca, merino wool, etc. 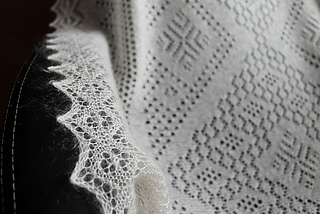 Depending on your knitting style, you may use less or more of the yarn stated. 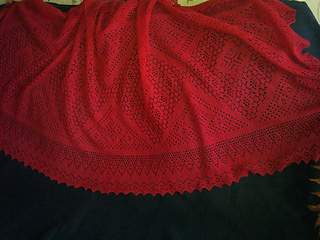 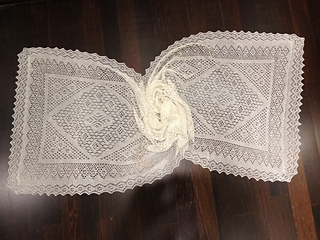 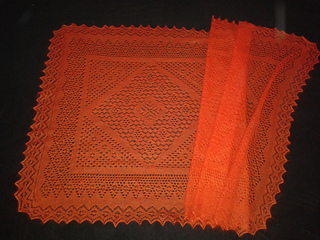 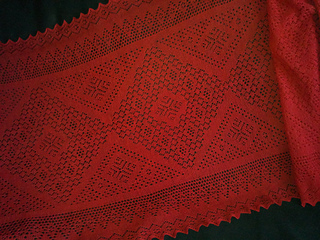 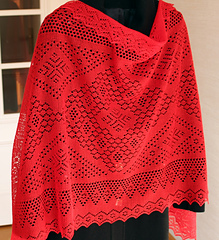 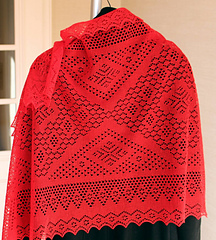 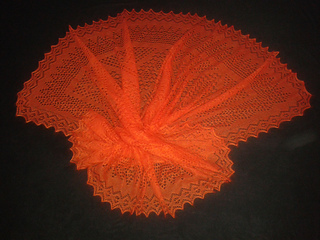 This shawl has 5 pieces: square center (body) and 4 identical borders. 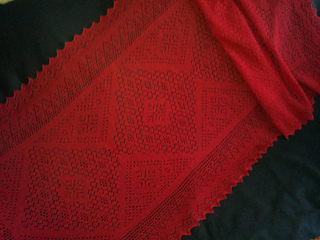 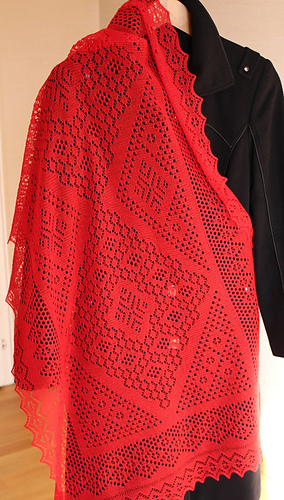 Traditionally these shawls are made as one piece, the pattern has grafting photo tutorial. 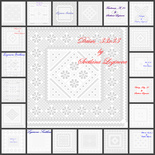 The pattern is charted & phototutorial.